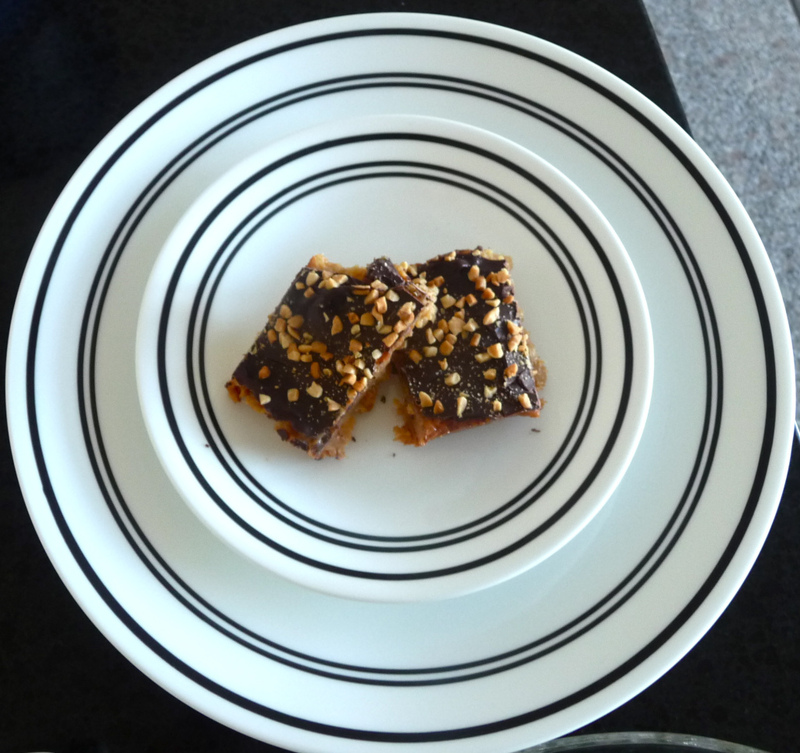 During the last few weeks I’ve been quite addicted to watching Rugby World Cup and about the same time my mom’s got a bit addicted to caramel nut slice over at Eve’s Pantry. 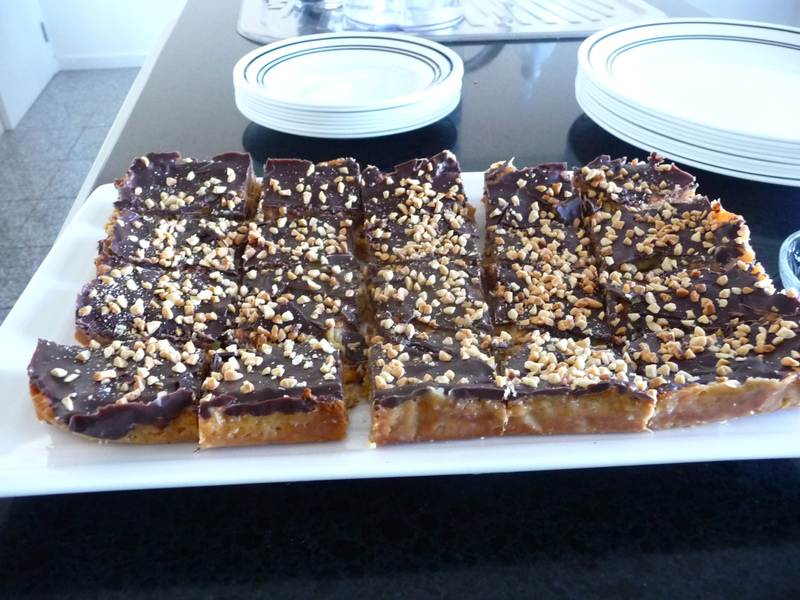 So she’s been asking me to make caramel slice. It was also something to nibble on while we stressed out in front of the TV while watching the rugby game (all the stressing was alright coz WE WON). So I Googled that sweet sweet thing to go with our sweet sweet game. Anyways being lazy I randomly chose the first thing I saw on the results which is a recipe from Exclusively Food. 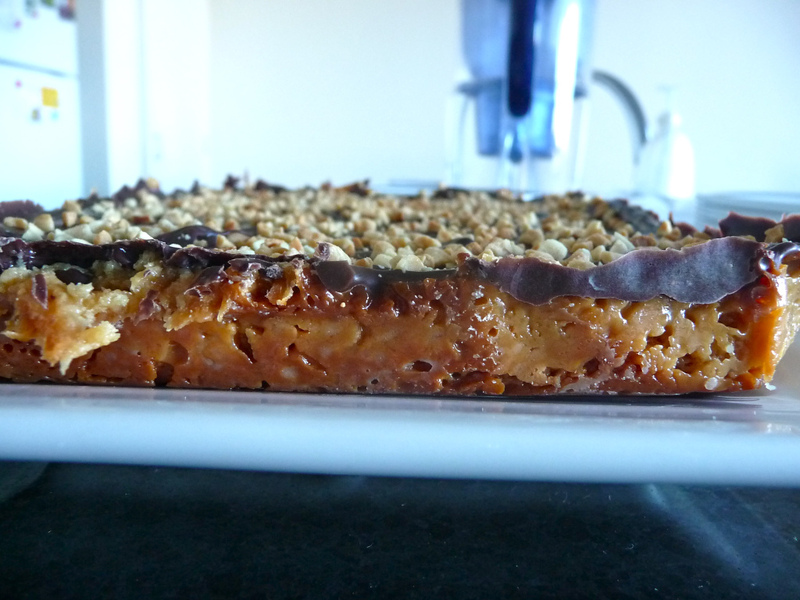 It was reasonably easy and I had all of the ingredients and so why not? I have to admit none of my photos turned out like the photo on their recipe, primarily because I barbarically sliced the whole thing (they did say to use a hot knife, dipped in hot water and wiped dry, to cut and I didn’t wait long enough but I’m just impatient like that). It still turned out yummy and awesome anyway. But maybe not as awesome as the ALL BLACKS WINNING THE WORLD CUP nothing’s sweeter than that and maybe I can make a celebratory All Blacks themed something in the future. So I kinda tried to incorporate a bit of All Blacks with the plates but whatever haha. I’ll probably work more on my posts later on in the summer (yeah!.. but exams first). -place brown sugar, dessicated coconut and flour in a bowl and mix. Add the butter and mix. Firmly press this mix on the lined cake pan using the back of a spoon. Then bake for 10-12 minutes til lightly browned. – place butter and golden syrup in a saucepan over medium heat and stir occasionally. When the butter has melted add the condensed milk and stir constantly for 9-12 minutes til the caramel mixture thickens. – spread the caramel over the base and put them back in the oven for 10-12 minutes til the sides of the caramel turns brown. 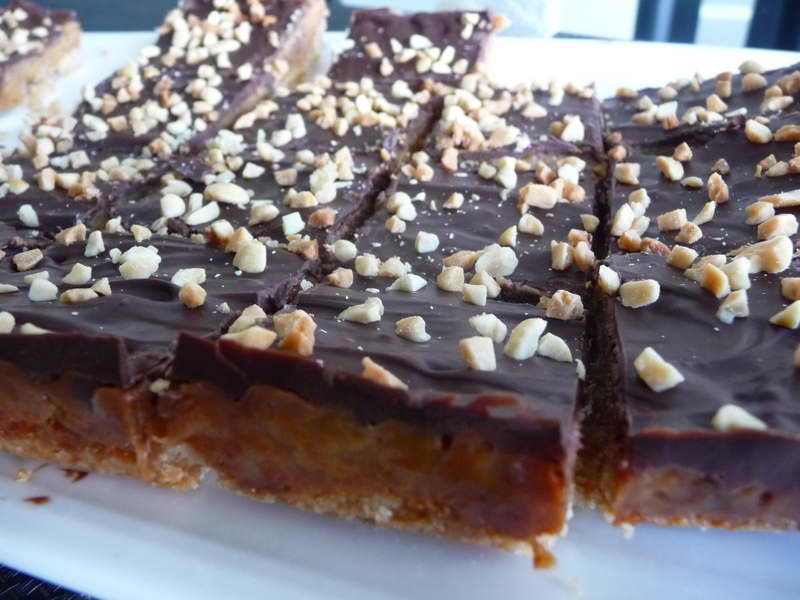 – spread the chocolate over the caramel (maybe sprinkle some chopped nuts while you’re at it) and chill in the fridge for 20-30 minutes. – take the slice from the pan and slice (I fail on this bit haha) with a hot knife (fill a tall glass with hot water and dip the knife for a few seconds then wipe it with a clean tea towel) . Store it in an airtight container in the refrigerator (if your parents didn’t finish it all already).